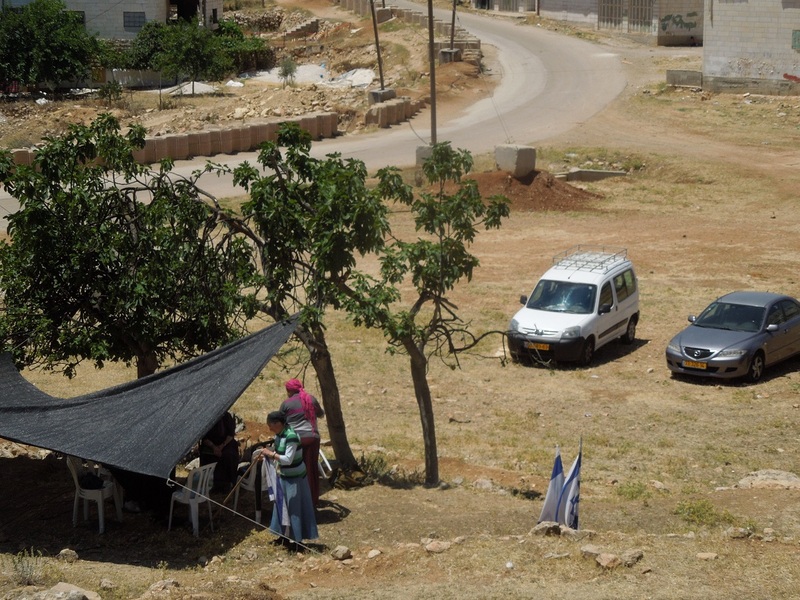 UPDATE 28th May: Settlers claim that they will return on 28th May to build a road on Palestinian owned land in Wadi al-Hussein, Al Khalil. 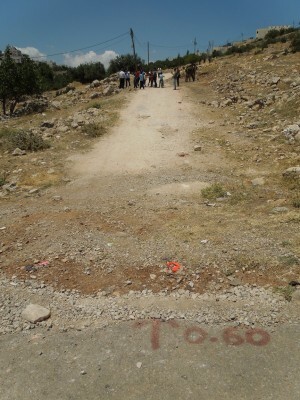 No building has yet taken place and settlers have yet to provide any documentation or court order for the road. This morning, 27th May, settlers from Kiryat Arba, an illegal Israeli settlement in the city of Al Khalil (Hebron), started to place road markers for the construction of a road through the Palestinian olive groves of Wadi al-Hussein. They were accompanied by Israeli military and police. Palestinians, including the owners of the land, gathered in the area to stop any attempt of illegal construction in their land and were confronted by armed Israeli settlers, police and army. A number of international observers were there to monitor the situation. The settlers claimed that they had a court order for road construction. However, they were unable to bring any official papers to back this claim. A while later, some settlers who remained in the area started putting up a tent in the olive groves, unhindered by the police who have the legal duty to prevent them from land theft. They equipped the tent with chairs and surrounded it with Israeli flags. 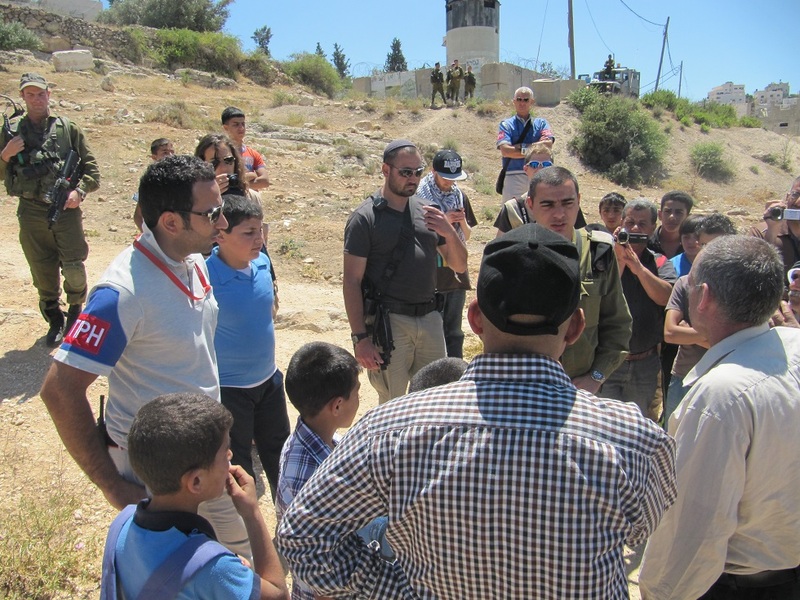 Wadi al-Hussein is a Palestinian neighbourhood in Al Khalil, which, due to its proximity with the illegal israeli settlements of Kiryat Arba and Givat Ha’avot, has suffered a lot from settler violence and oppression by the Israeli forces.